We cannot pretend that it doesn’t exist. It is here with us again in nigeria. This present episode has been reported in about 10 states in Nigeria. And as a medical practitioner, i am duty bound to inform my community about its prevention. Above quote from NCDC statement as at 24th January 2018. 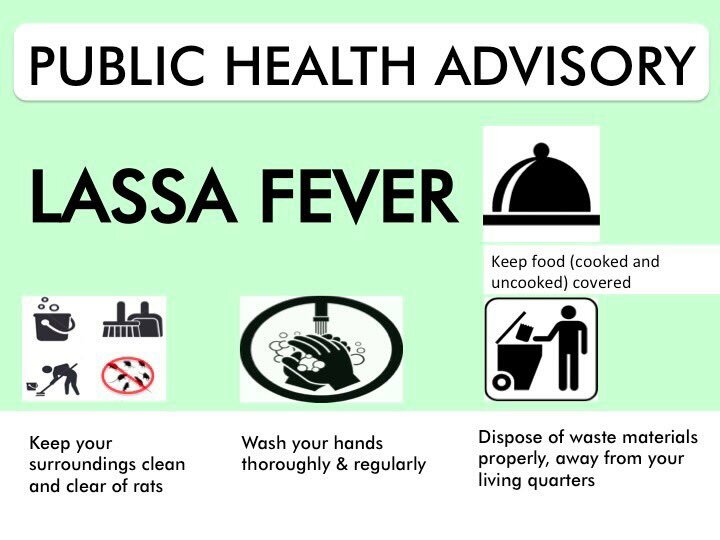 Lassa fever is one of the groups of fever referred to as haemorrhagic fever because the late stage of the fever leads to bleeding from the orifices i.e. the nose, the mouth, the ears, the eyes, and from the private organs. Lassa fever presents with symptoms within 6 to 21 days of contacting the disease. The symptoms include fever with temperature as high as 40° centigrade. There is marked weakness, general body pains and joint pains. Sorethroat is common, so is abdominal pains, vomiting and diarrhoea. 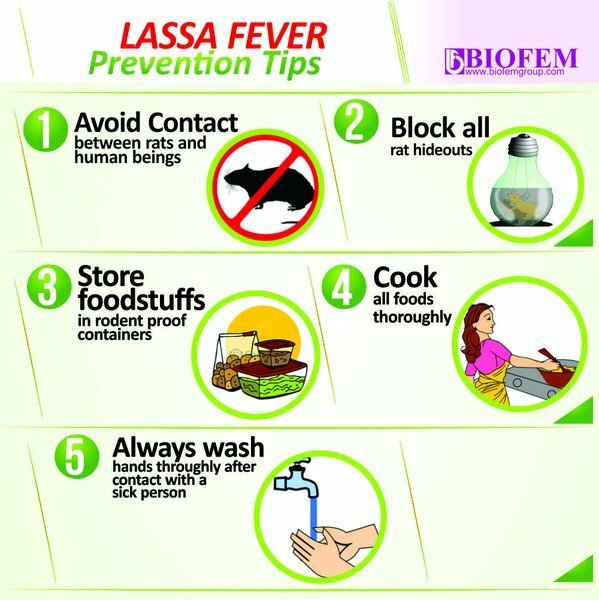 The fever does not respond to the usual antimalarial medication so this should lead to a suspicion of lassa fever. Medical help should be sought immediately. This is not the case for buying fever medicines on self medication. Definitive treatment is by the use of antiviral drug. However, supportive management is also important. Replacement of lost body fluids, replacement of blood loss, bringing down the temperature and others are carried out on admission in an isolation ward in the hospital. So what can we do to prevent this terrible disease. First is our environmental hygene. The disease is caused by a specific type of rats known as multimamate rats. So a rat free environment is first essential. Cat as a pet helps here. Next, make sure rats cannot get at your foodstuff and water. Rat proof protections for all your food. Block all rat holes and keep your house and environment clean. When you buy foodstuff make sure they are properly cooked to kill the virus. Lassa fever virus is present in the faeces and urine of infected rats. Then, please practice hand washing. Transmission could occur when you touch an infected object or an infected sick person. Do not visit hospitals except when necessary. These are some important guidelines i feel i should bring to your attention. You are at liberty to copy this post and paste for others to read and be aware. I wrote this post first on steemit.com and because of its relevance to the community at large, I am posting it here on our blog. Please feel free to give your comments and post your questions and discussions below. ← THE MOUTH IS MIGHTIER THAN THE SWORD!